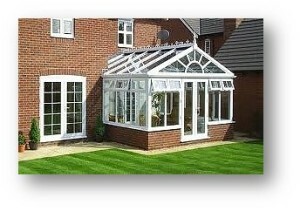 This type of conservatory offers regular rectangular or square footprints that suit medium to larger rooms and provide lots of usable living space, somewhat similar to an Edwardian or Georgian Style without the ornate styling. The layout is based on a 2 sided angled roof that slopes to the sides with a square front (exactly like the side profile of a gable end of a house) which gives plenty of internal headroom and also allows for use of a veranda overhang if that’s something that appeals to the homeowner. Full glass Pavilion & Gable conservatories offer amazing light, but may need to make use roofing vents and interior blinds to manage glare or heat build-up during sunny weather. Brick or Block-work walls are popular design options and can create a very pleasing effect and give the room a more solid appearance (more like a part of the original house than an ‘add-on’) and to personalise the overall design. See how much installing this type of room will cost. Other options for energy efficiency are the use double glazed windows & doors, “low-e” glass (low emissivity) or tinted glazed sections – toughened or lamented glazed units are recommended for all areas where the glazing reaches floor level. 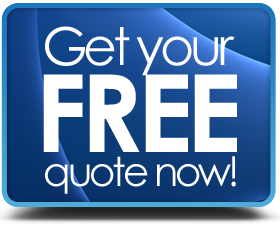 As with many conservatories, you can opt for poly-carbonate roofing to save weight and possibly lower the overall cost of the building. High Quality Living Space for your Home.